If you’re a small business owner or manager, using a staffing agency can be a great way to improve the quality of your hiring process. With a good working relationship, you can hire better workers and improve the efficiency of your business. To reach that goal, however, you’ll want to make sure that you and the agency are on the same page. 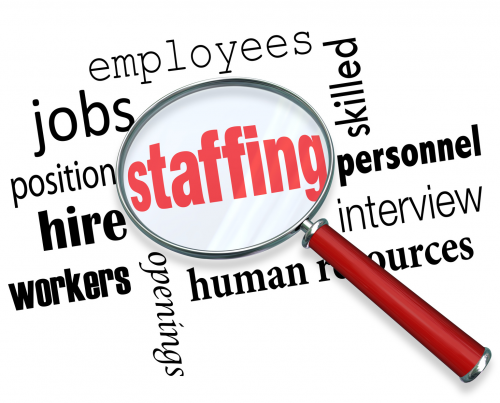 If using a staffing agency is new to you, be sure to talk through all of your hiring options thoroughly. You may not know what services are even available that can benefit your business. Ask a lot of questions so that you can feel confident about your staffing decisions. As recruiters, one of our main objectives is to find a good fit between workers and their prospective employers. While a worker might be qualified, he probably won’t last long on the job if his personality or habits don’t meld well with your company culture. When an agency asks about your culture, take the time to paint a clear picture about what type of person does well in your business. Many companies choose to work with multiple staffing agencies, but be careful not to overlap when filling single positions. It not only can hurt your relationship with an agency if they find a candidate for a position that has already been filled by another agency, but it’s confusing to job applicants. It hurts your “employment brand,” or the way job seekers view your company; you may even lose some top candidates. For the best quality hiring results, give your staffing agency direct access to the person who is making hiring decisions. Otherwise, if you use someone further down the chain of command, the agency may miss some key information about what you need. Getting feedback from the decision maker helps the agency know which candidates will likely be the best match. Talk to your agency about the employment market so you can realistically determine what kinds of candidates you can expect to find within your budget. If necessary, also talk through different ways to adjust the job expectations. For example, if you require a lengthy skill set, you may want to consider including some on-the-job training instead of expecting the full package ready for hire. While being realistic about your expectations, don’t neglect being specific. Communicate with your agency the precise hard skills you need as well as “soft” skills like personality type and the ability to do well in certain environments (this can be related to your company culture). When your agency presents a candidate, don’t drag your feet getting around to making a decision. Be clear with your agency about how long your approval process takes. If you take too long you may lose your best candidates to other positions. NISA has worked with a variety of small businesses in different industries. We offer these tips to help you improve that working relationship between you and a staffing firm so you can optimize your staffing results. BECOME A BETTER MANAGER, JOIN OUR NETWORK AND SUBSCRIBE TO OUR NEWSLETTER ! !